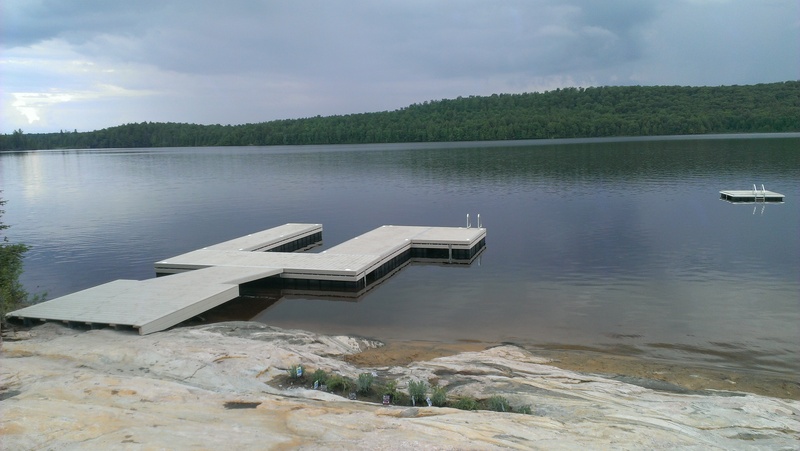 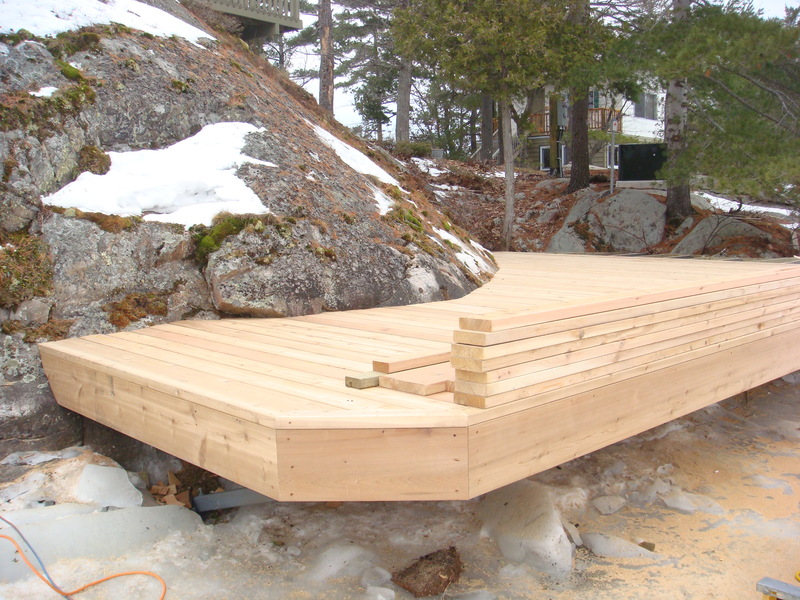 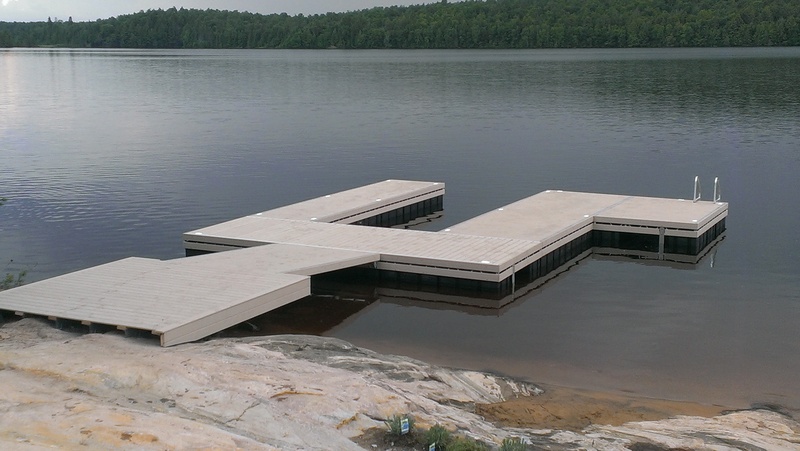 We offer a wide range of permanent steel framed pile docks from simple shoreline docks that are profiled into the rock to large U shaped docks capable of carrying a boathouse at a later date. 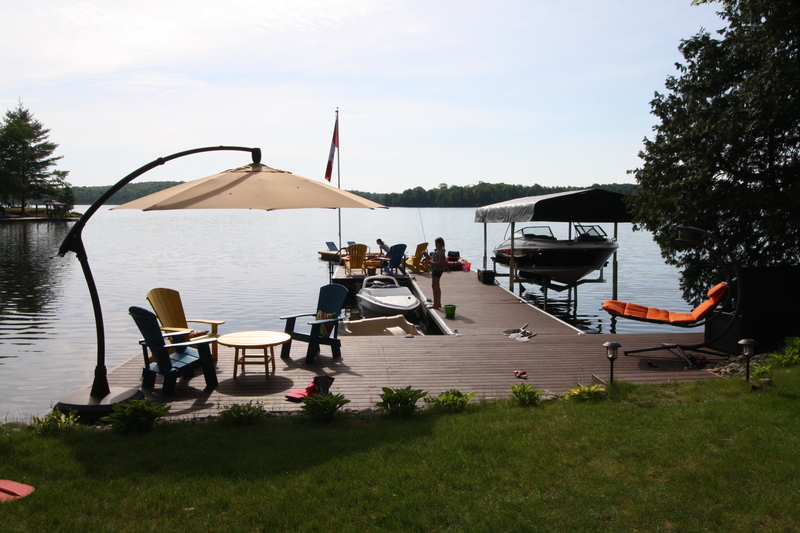 Our pilings are either drilled into the lake bottom if it is solid bed rock, or driven into the lake bottom if there is a lot of overburden or soft conditions. 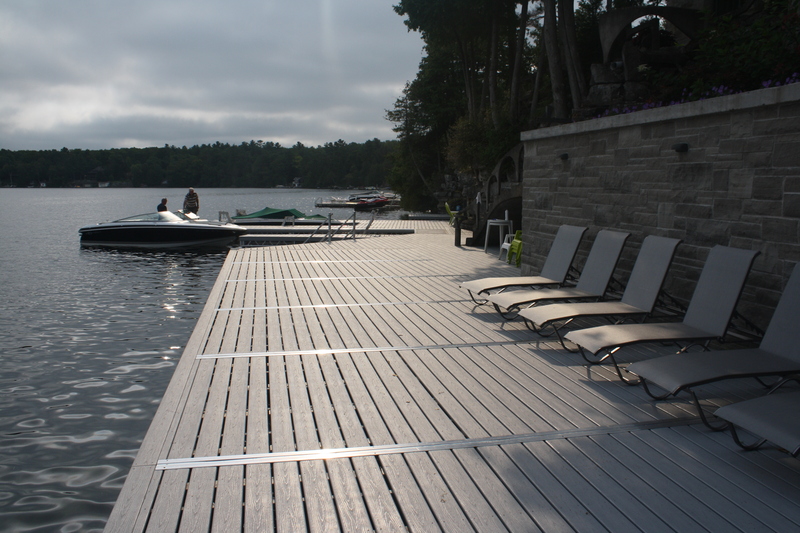 All of our pilings are filled with non shrink grout. 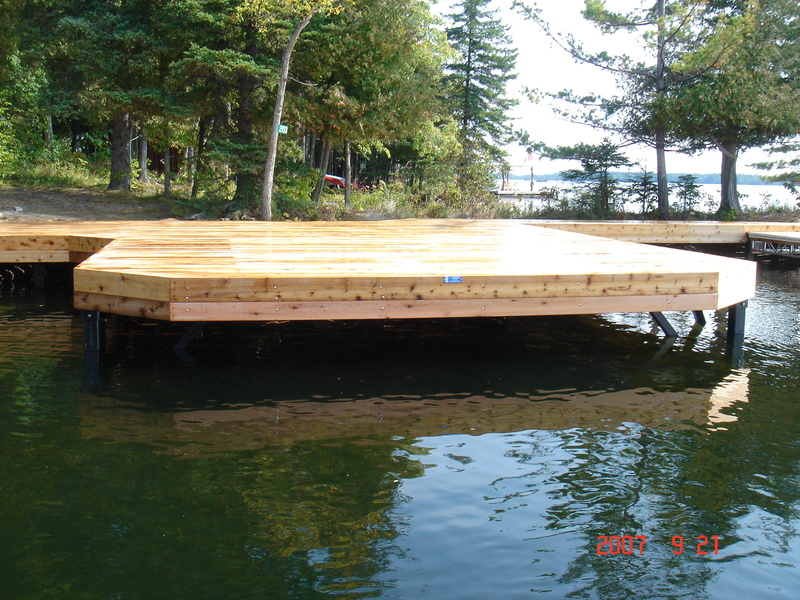 Since we use pilings instead of cribs there is less contact with the lake bottom and less chance of ice damage. 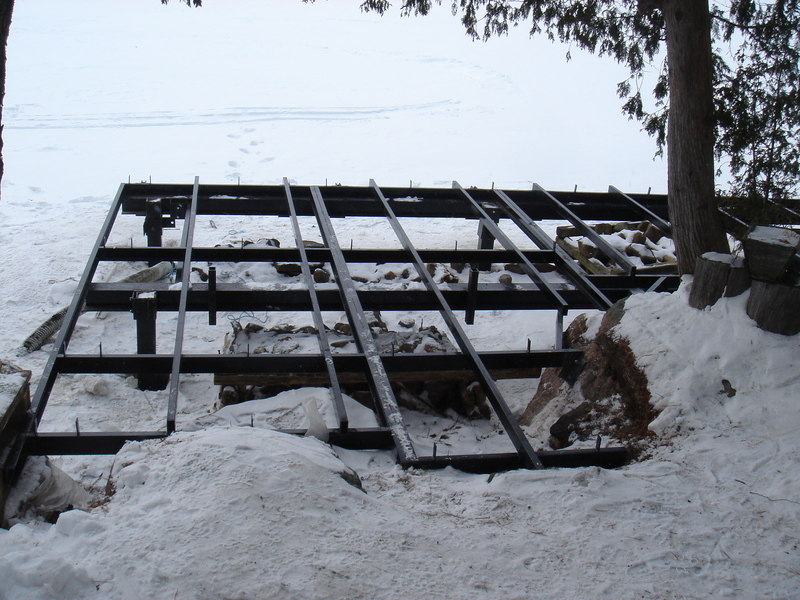 All of our upper steel work is constructed using I beams and C-channel. 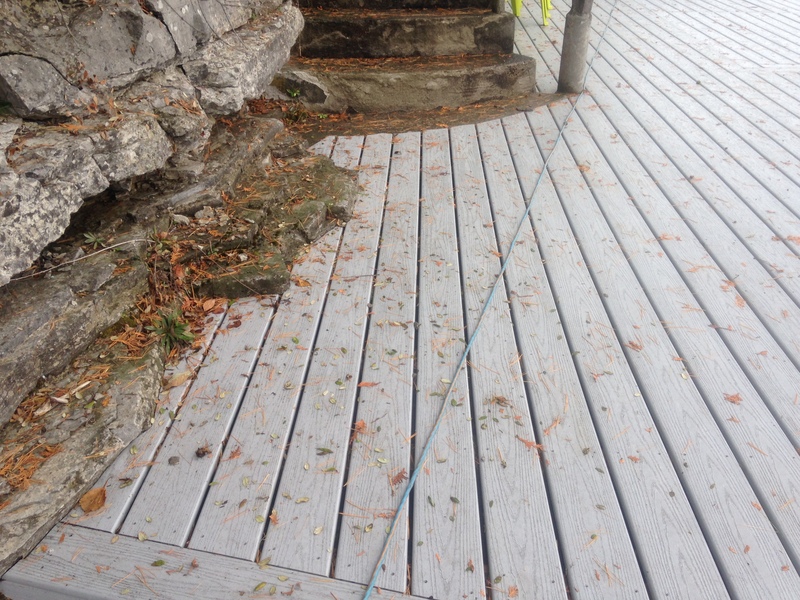 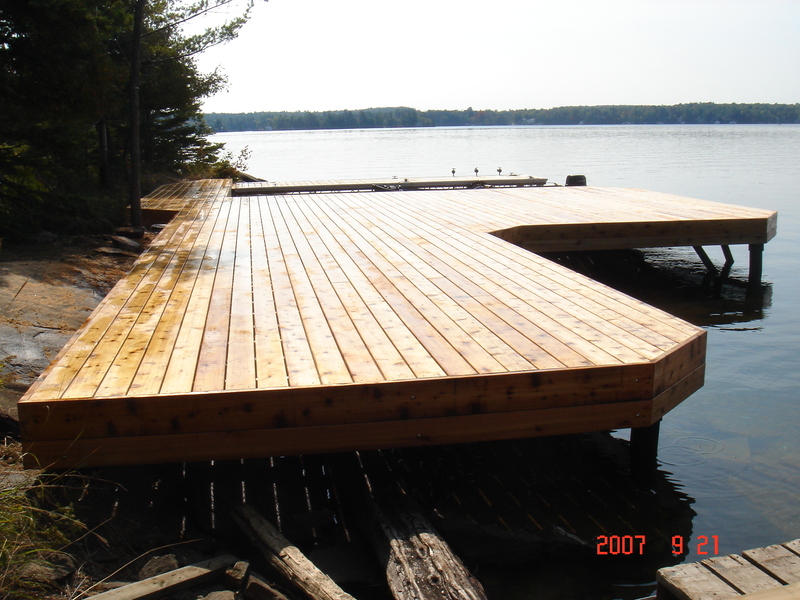 This framework is then covered with a variety of different types of decking. 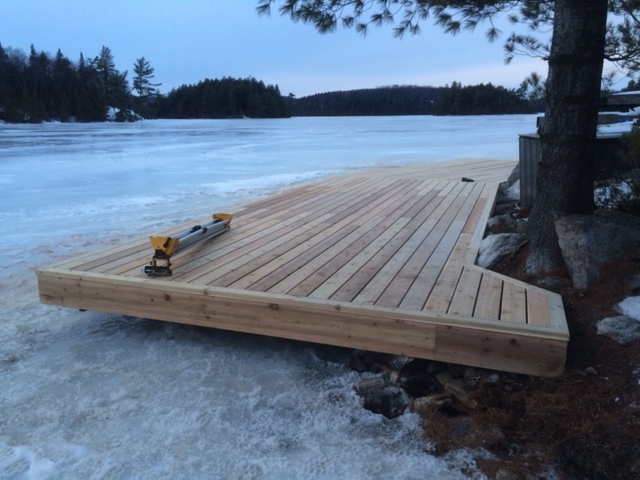 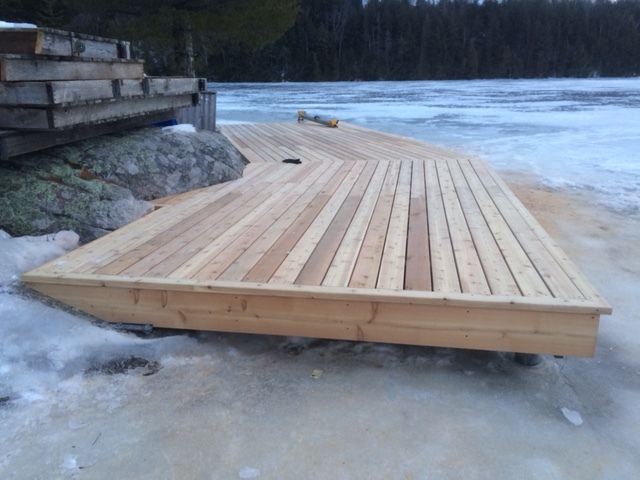 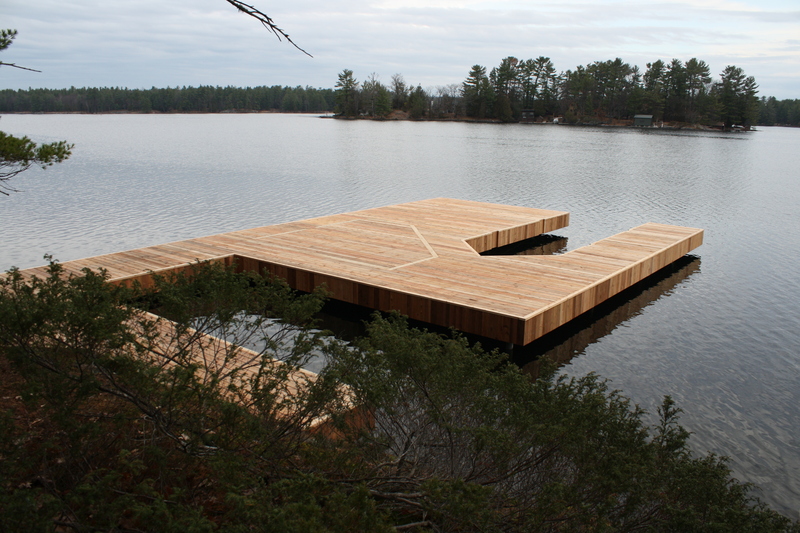 These docks can easily be designed to handle our new hidden lifts. 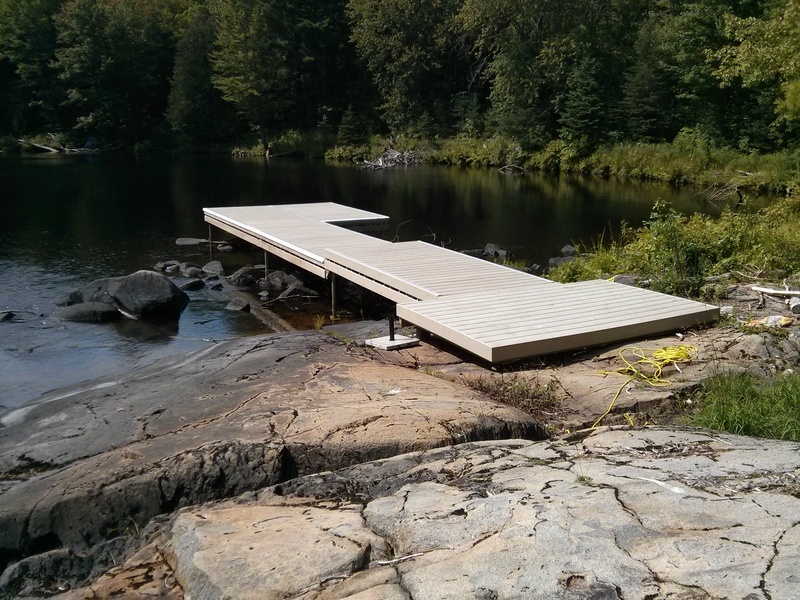 Our welders are certified by the Canadian Welding Bureau. 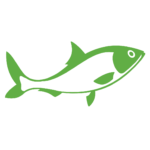 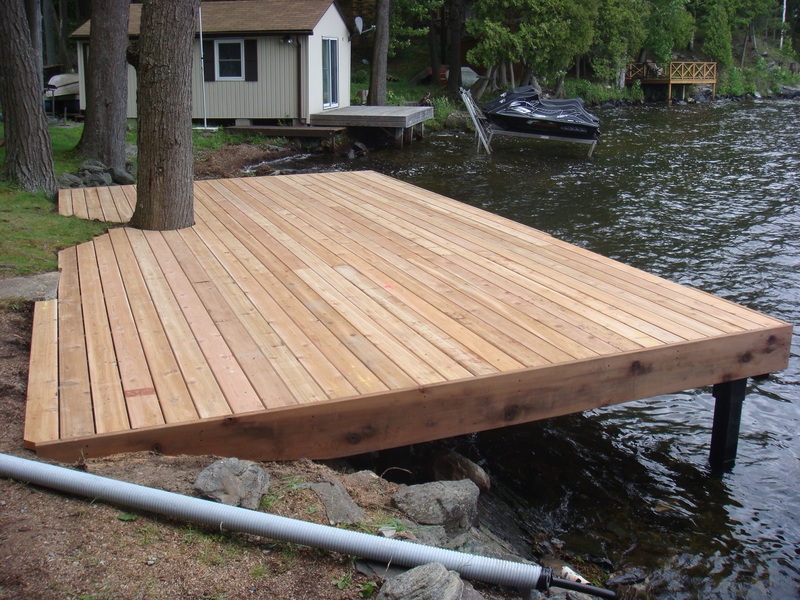 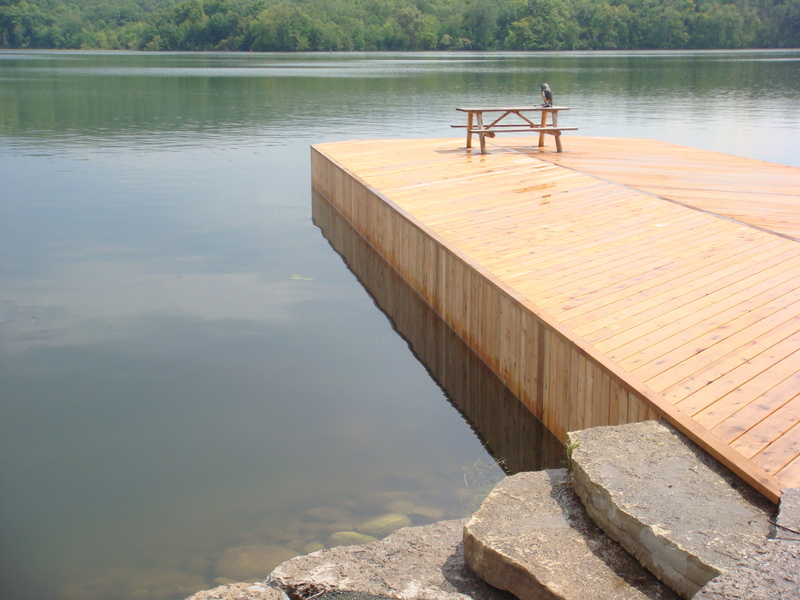 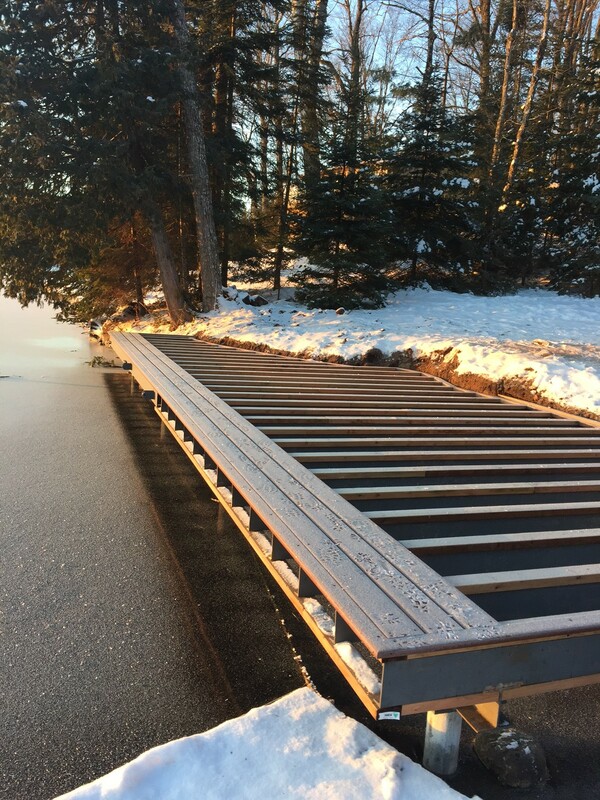 Fish Friendly Dock Structure – Pile docks have minimal contact with the lake bed because only the driven piles come in contact with the lake bottom. 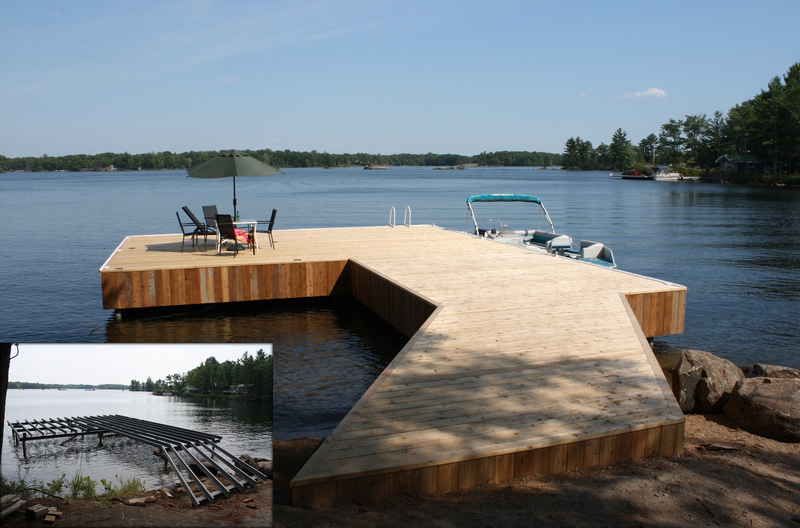 Pile docks allow the water to flow freely beneath the framework while still providing a shaded, protected area for fish to gather. 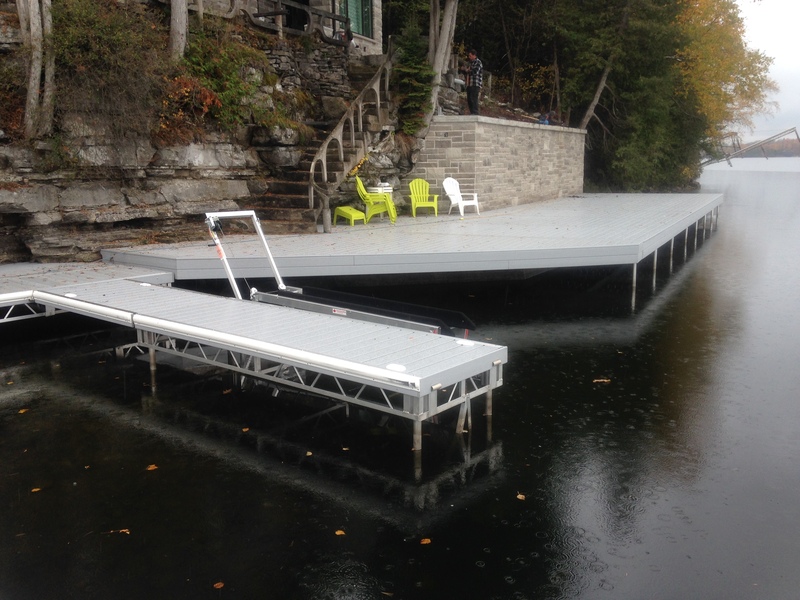 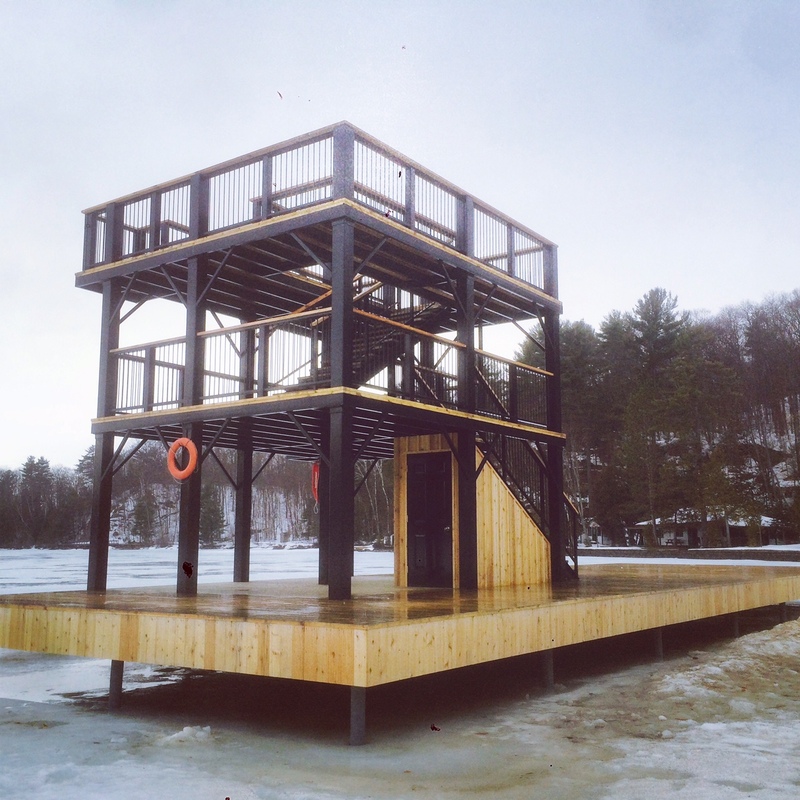 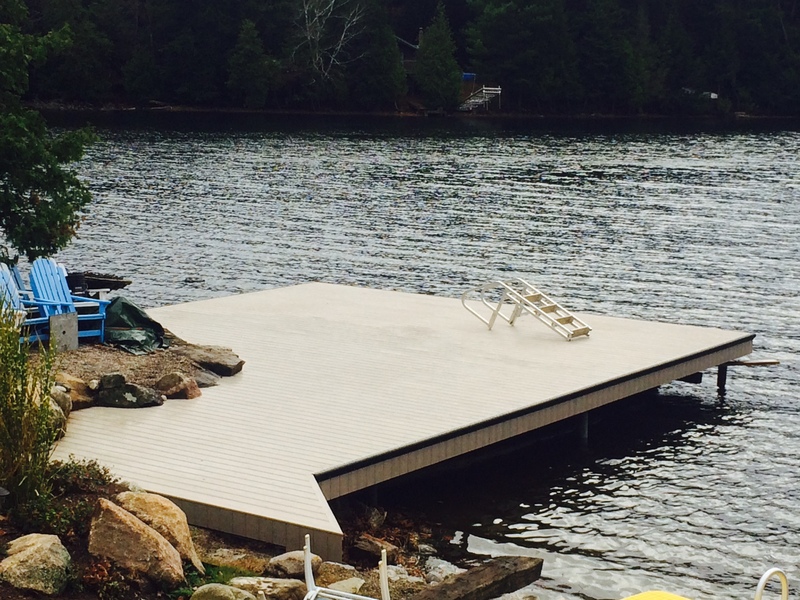 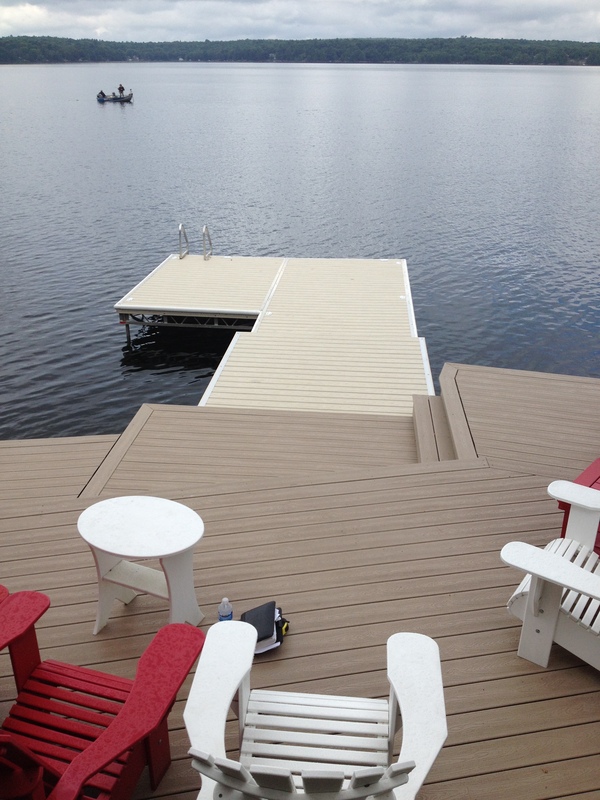 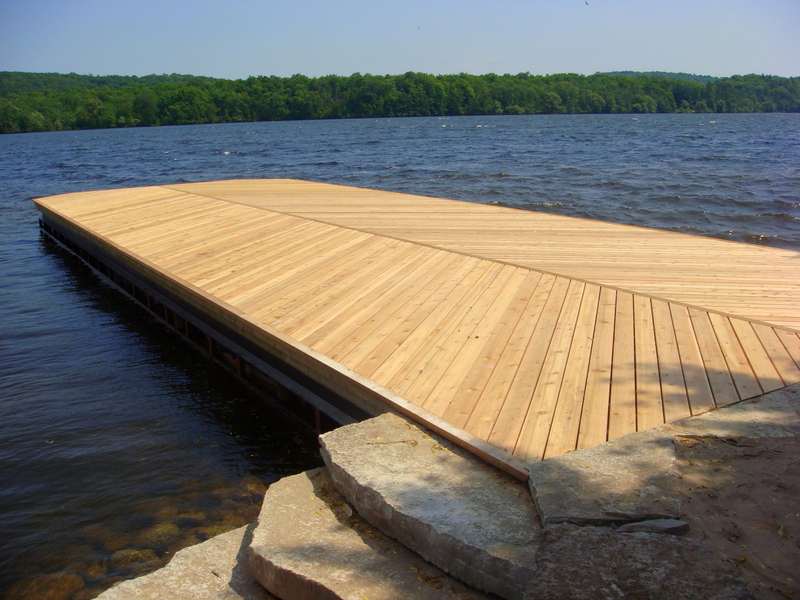 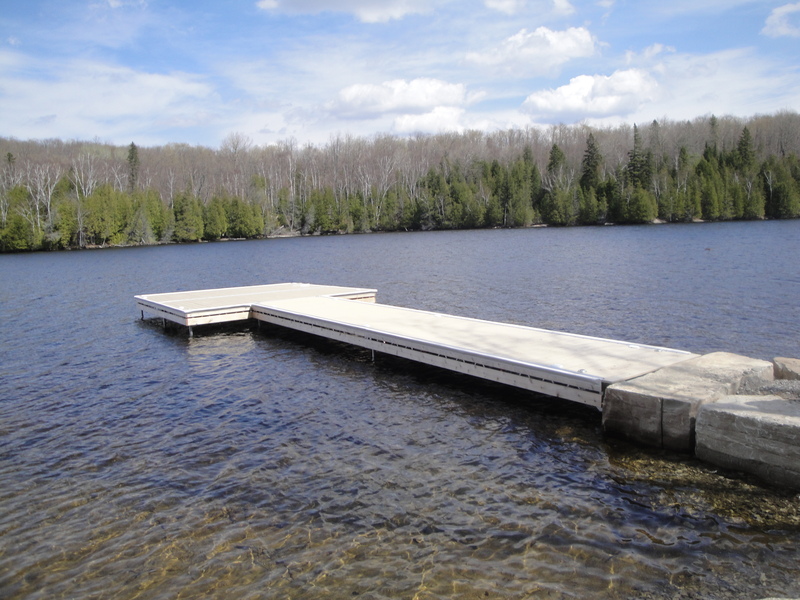 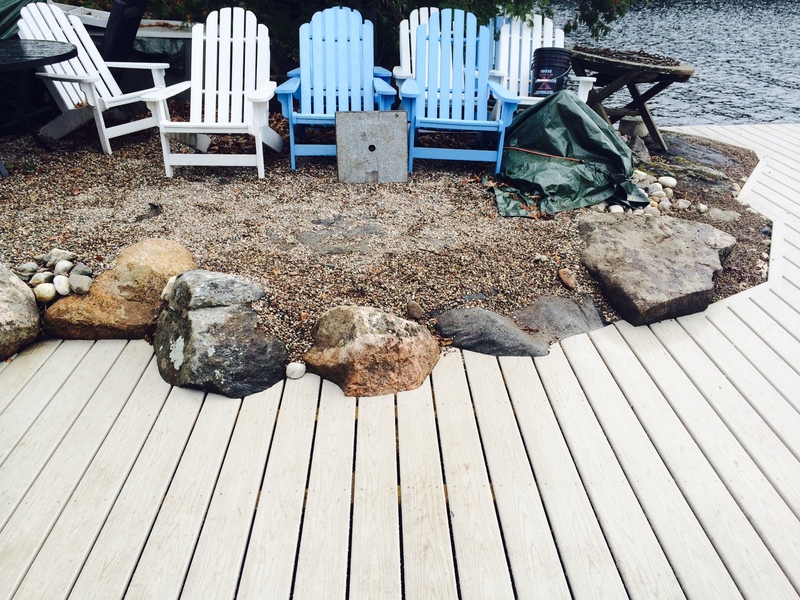 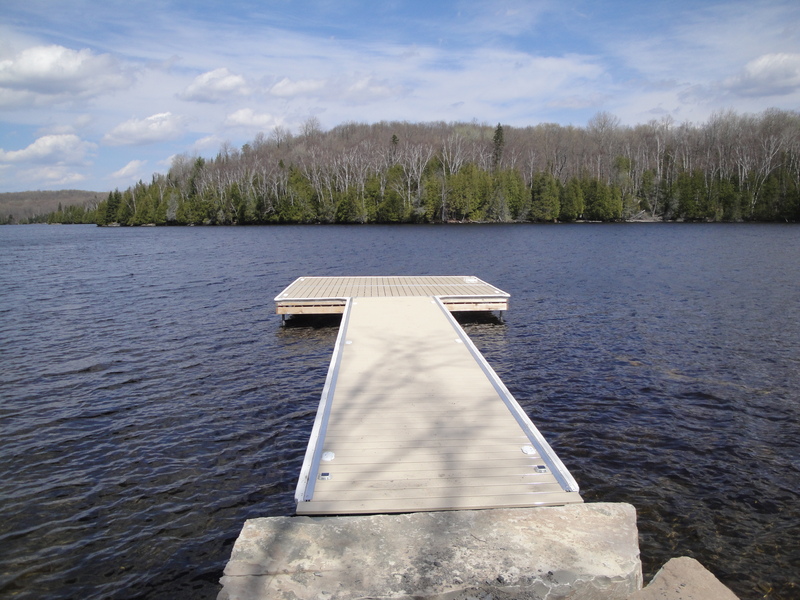 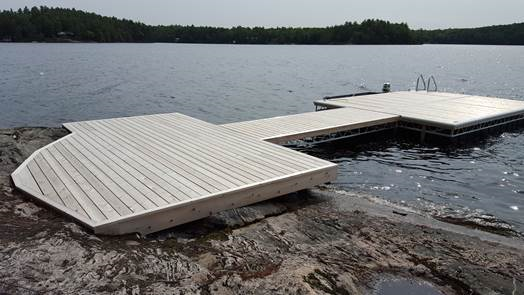 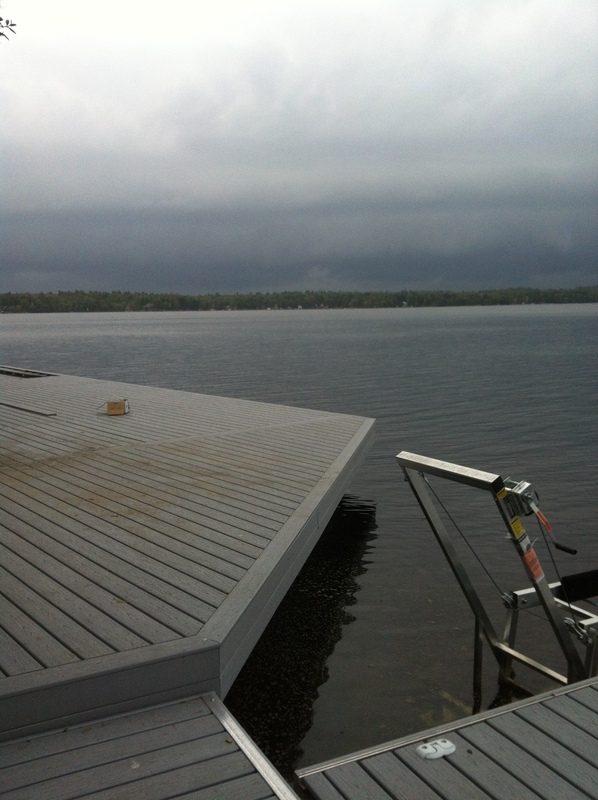 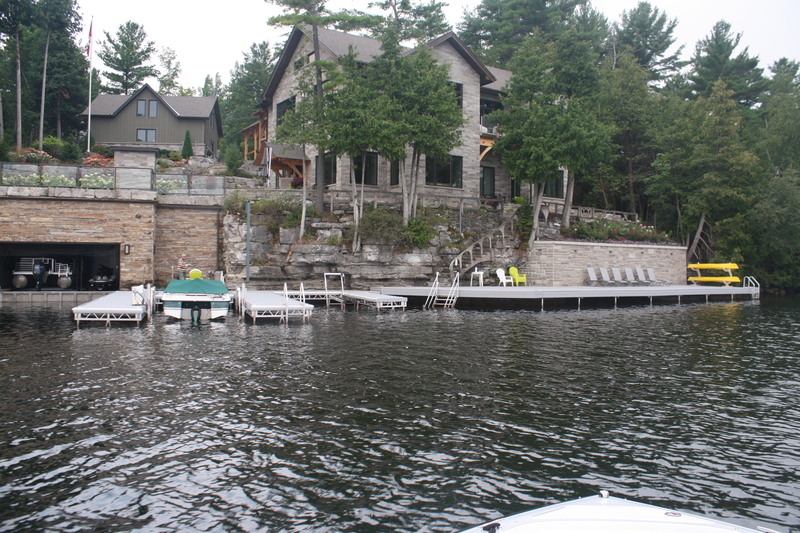 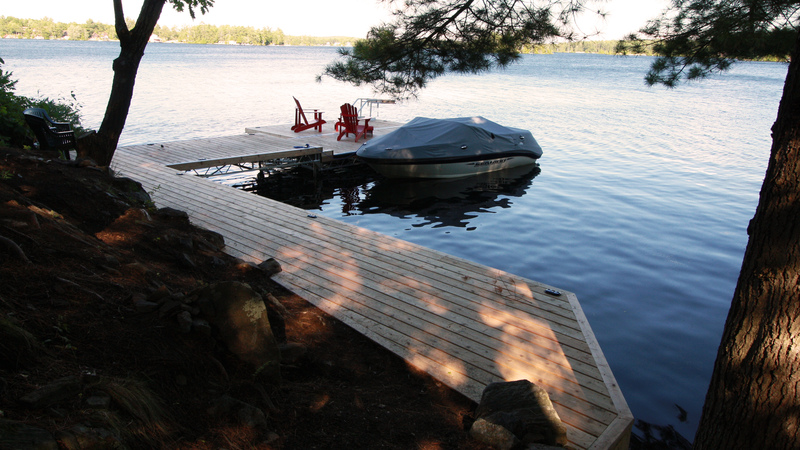 Pile Docks require professional installation and are not designed for areas with extreme water fluctuation.